Accreditations that Northern Heights Loft conversions carry on the business to demonstrate our success and professionalism. The Guild of Master Craftsmen is a great way to select reliable tradesmen without the recommendation from friends and family. The Guild make a detailed and in depth review of the craftsmen before awarding The Guild of Master Craftsmen accreditaion. When customers select a builder, it is vital that they feel confident in the choice they make. The Federation of Master Builders gives accreditation to companies that meet their standards of reliability andensure that the business is run correctly. We are a 5 Star member of Velux VIP installers Parnership and only fit Velux windows so you know you are getting the best for your loft conversion. 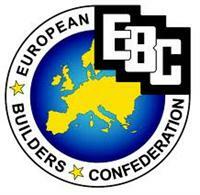 The European Builders Federation is a European wide accreditation of all the very best builders. Carrying the Trustmark logo is a fantastic way to bring peace of mind to all our customers. Trustmark is a not for profit organisation, licensed by the Government and supported by various consumer protection groups. If you would like to know more on the accreditations that we hold at Northern Heights loft conversions then please contact us and we would be delighted to give you more information. For a dedicated team in a company that always strives for client satisfaction come to Northern Heights Loft Conversions and we’ll provide you with all your needs for a loft conversion for your home. Get in touch with us today to experience this for yourself.